Many people struggle with weight control. Maria’s focus is on enjoyable, healthy eating, that you can really live with. Anyone can lose weight by using a program based on fads or prepackaged food, but most people regain the lost weight soon after. Maria’s programs focus on helping you understand your habits, kicking up your metabolism via exercise, choosing satisfying meals, and avoiding emotional eating. Her goals are to help you improve your health, body-image, and sense of well being for results that are SUSTAINABLE! Maria uses assessments and interviews to determine your lifestyle, food plan, and physical activity preferences as well as your personal goals and challenges. This information is used to build your customized plan program. Sure, you can lose weight rapidly with fad diets. Have you ever considered what you're really losing? You're mostly losing your lean tissue (muscle) and water, which is the tragedy of these types of programs. Muscle is essential since in addition to making your body work more efficiently, muscle also gets the credit for creating shape and beauty. Maria has endeavored to develop a practice that will help people work toward achieving a healthy weight and body composition, not only in the short term, but most importantly to achieve long term weight maintenance. Maria will guide you in eliminating fad diets by providing scientifically backed strategies that are both realistic and convenient. She will help you develop an integrated strategy to maximize your nutrition and learn to live an optimally healthy lifestyle. 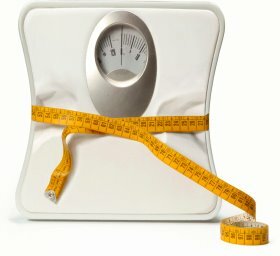 Weight loss is not just a simple matter of restricting calories, it involves a total lifestyle change focusing on regular exercise, portion control, healthy cooking and dining out, and the ability to continually to learn to change patterns of behavior that have led to weight gain so that you can look towards a permanent loss of weight. Maria works towards helping her clients develop healthy eating habits, begin an exercise program, and help motivate them to continue lifelong change. Losing weight is a difficult process for a lot of people. Reasons for the difficulty involve changing of lifetime habits or patterns of eating, learning to lose weight, and eating healthfully even during adverse life events. Most people tend to overeat because of emotions, both good and bad. It is with this understanding that she provides one on one counseling to help overcome and change negative habits. Maria stays abreast of all current information concerning weight management and methods of exercise by attending regular conferences. These provide her with state of the art knowledge, delivered by top professors of Nutrition, Kinesiology, Pediatrics, Pharmacology, Medicine, and Alternative Medicine from major Universities. Her plans are based on solid research, published in peer-reviewed journals. Learn how to eat healthy on the run; Learn how to cook tasty and healthy meals; and, learn how to shop in the super market. A healthy, nutritionally balanced eating plan will give you the energy your busy life demands and put more life in your years. Healthy Nutrition Plans for Athletes, Fitness and Vegetarians. For wellness and prevention, healthy eating plans will keep your energy level high and keep you meeting your needs. You can get a complete in-depth nutrition assessment or a nutrition check-up just to be sure that your diet is meeting your nutritional and lifestyle needs. Pantry Make Over -- redo the cupboards and the refrigerator with healthy foods. Supermarket Tours --Learn what to look for in the grocery store to make it easy to eat fast and healthfully. Nutrition consults give you the information you need. Nutrition is an essential part of overall health and fitness. Knowing about nutrition isn't always enough: you have to learn how to apply it to your life and how to change your eating patterns. Nutrition consults can be scheduled at my studio or in your home. Maria suggests signing up for a minimum of four sessions for yourself, and six sessions if you have a family including children. Please contact Maria Faires, RD for information on the services and fees that meet your needs.